Greetings from Puerto Rico. 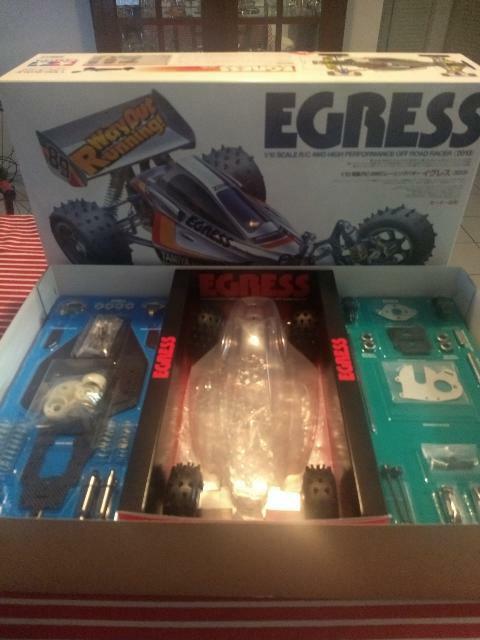 My wife bought me a rere egress as a gift. I always wanted one as a kid but could afford it. I’ve been reading and searching but I'm new to the RC world and I would need help deciding in what motor and ESC to buy. Also, the transmitter receiver and servo. I’m open to all suggestions. Thanks for your help, Hector. 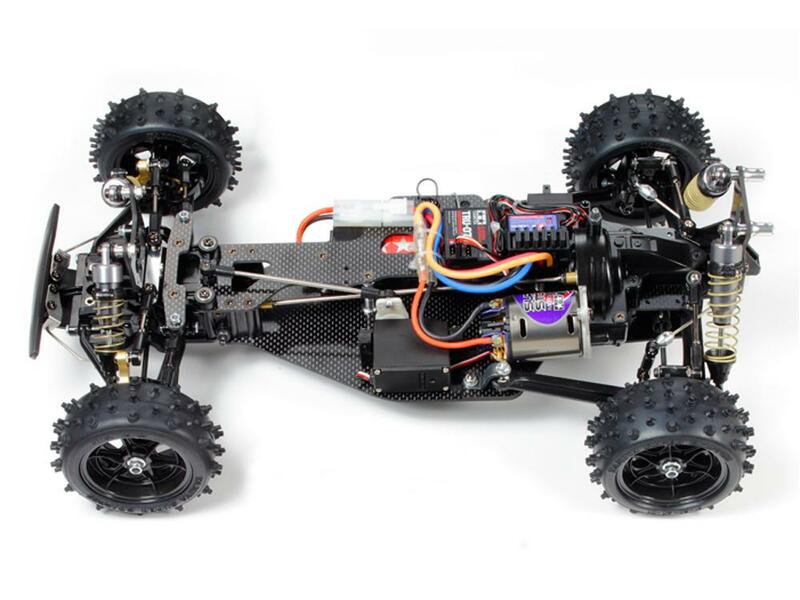 go with a brushless motor...less maintenance....maybe the esc and motor Im going to say are a little pricey ….a tekin rs gen2 spec ESC and any 17.5 or 13.5 motor will be fast enough I think..
Ah, all the wait makes it wonderful to see it actually run. Cheapest way to equip would be about $90: Flysky GT3C radio is simple and reliable, and has most of the important fuctions. About $45. Servo: Hobbyking High Torque MG/BB (Metal Gear/Ball Bearings) $9. ESC: Hobbywing 1060 for a brushed motor ($20). Tamiya Sport Tuned Motor ($17). You can also get a sensorless brushless motor/ESC combo for about $40. Don't trust ebay "320A ESC" stuff. They are more like 25A brushed ESCs. I would stay close to 3300KV range because the 60A ESC tends to bottleneck the amp for higher KV motors. Sensorless motors are good for bashers, but for higher end buggies, I'd go with sensored. Slightly fancier for about $140: Radiolink RC6GS. About $70. I'd still use Hobbyking High Torque MG/BB. It's cheap, but it's a whole lot faster and stronger than Futaba S3003/S3004 which was "the standard." 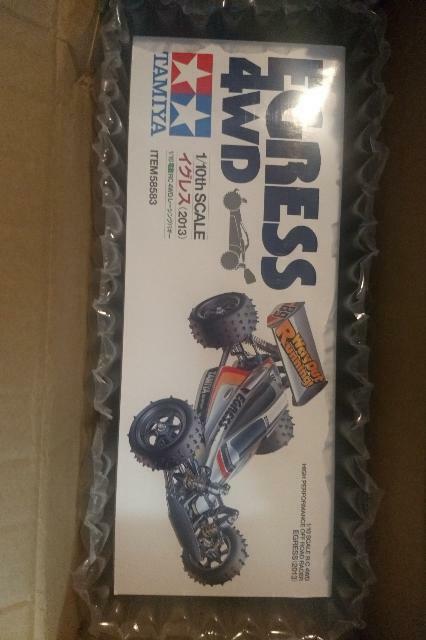 ESC: Tamiya TBLE02S from ebay for about $25. Motor: Turnigy Trackstar 13.5t sensored brushless. ($35) "Sensored" brushless gives you more control at lower RPM. TBLE02S is reliable, and reasonably priced now. 13.5t brushless is about the limit of TBLE02S. Entry level for about $250+: Futaba 3PV ($130) does not offer more functions, but it's faster. (8 or 6 millisecond? Don't worry, human reaction time to visual stimuli is about 250 millisecond, so even the "slow" radio of 12 ms isn't going to make any difference, unless you are racing) You can get expensive Savox servos, but I found them to be glitchy, so I prefer cheap hobbyking servo for bashers. Hobbyking offers dozens of different kinds of servos. For ESC, you can get 80A or 120A ESCs which will allow hotter motors like 9.5t. Some would go for the rocket speed. If so, other members would be better equipped to help you. I found no reason to go faster than 13.5t and I don't like loud fans. Personally, I'm at  and  mostly. I don't race. I like trying different cars. So expandability is important. Flysky's receivers are only $6 each. You can control 10 cars with about $100. Radiolink's receivers are about $15 each, so equipping 10 cars would cost over $200. Everybody is different. I'd rather buy 5 more cars, but some would prefer to buy 1 high-end radios like Futaba 7PXLE for $900 (new for 2019). All up to you. Welcome to the hobby. It's a whole lot safer than drugs, but not any cheaper than drugs. Welcome! The guys above covered a lot of it, but I might add another ESC and motor option? If you are new to the sport the Tamiya TBLE-02S ESC is really cheap and easy to come by and will happily run a sensored brushless motor. My first new buggy used this ESC and 13.5 3300kv motor and it was great. I expect you will find the TBLE-02S on ebay easily. If you are taking the advice above and buying from hobbyking then I would suggest the Turnigy Trackstar 13.5t motor 3070kv. 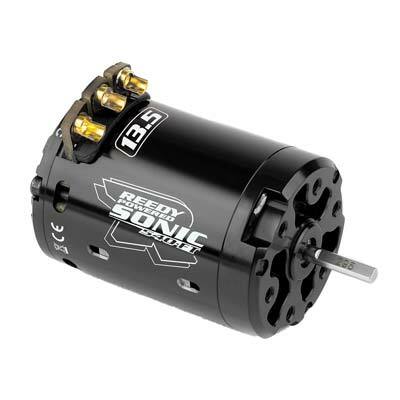 The Tamiya ESC and this motor will be no more expensive than the brushed setup suggested above, but will be lower maintenance and longer run times. For batteries, those vintage cars need 7.2v nimh batteries. Get something around 4000mah capacity and that will be super easy to look after and give you long run times. Hi, great advise but please be aware that standard 540 motors (RS540 / 540J / Sport Tuned / Torque Tuned) are NOT compatible with the Egress (2013) motor mount. You simply can't get the spur and pinion to mesh correctly regardless of which way you position the pinion gear. You would need a Vanquish motor mount to make that happen. Tamiya recommend Super Stock motor for this car as minimum. Personally, I would go Super Stock motor and Hobbywing 1060 ESC for sure. Replace the front and rear hubs with Yeah Racing alloy hubs and this would be a great low cost entry into running the Egress. Good luck Hector and enjoy this beautiful machine ! For the Egress re re, I've gone with the same setup as per the original photo and manual - I'm not going to race mine (will probably be more of a shelf queen if I'm honest) and haven't moved over to using brushless in any of my models. So I'm happy to stick with the "official" option for this one. As per photo (below), you can see they have installed the Tamiya TEU-302BK Electronic Speed Control with the Super Stock BZ Motor 23T (which is a 23 turn motor as supported by this ESC). I haven't yet figured what the best pinion gear will be here, possibly 14T (teeth) - 16T, but some have suggested 13T for this 23T motor. I think the ESC choice will also be determined by whether you decide to run NiMH or LiPo - from what I know of the TEU-302BK, it doesn't have a LiPo cut-off feature and so probably wouldn't make sense if you've decided to go that route. 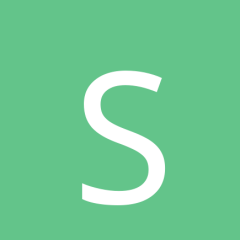 I'm staying true to the original spec, but no reason not to consider something alternate (as suggested above). Keep us updated on your progress! I'll probably start my build in the next few weeks. Below is a site where the builder tried a brushless and experienced the same exact thing Thommo said. The pinion and the spur were not lining up. They were off by 50%. I seem to remember old vintage motors having shorter shafts. Since Thommo tried 540, Sport tuned and Torque tuned, I would definitely go with his experience and choose the Super Stock. Thanks a lot for the info and the help guys. This is what I'm thinking at the moment. Motor: Still thinking about the Tamiya super Stock Bz 23T or a brushless but i dont want to change too much of the egress. 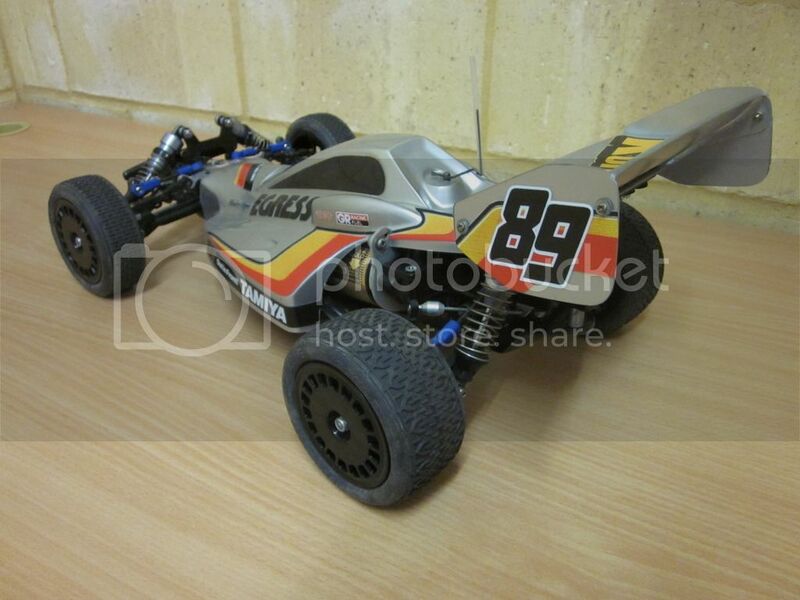 Does tamiya sells a brushless that could fit the car? Battery: depends on the motor ans ESC? I hope its not as expensive as fishkeeping, planted and saltwater aquariums. I need a new hobbie!! After Hurricane Maria hit us, we lost our house and also the aquariums. So we move to a building but cant have aquariums here. Yeah if the 540 type motor has the protruding bushing and short rotor shaft like this, then it just won't work. Yes some motors will require you to flip the pinion gear but if you flip the pinion gear with this Mabuchi RS540 motor type the grub screw doesn't meet the rotor shaft. I learned this when trying to set up my Egress for a vintage 540 meeting. Additional info : The early Sport Tuned that came with the Avante 2001 is a different motor. Many brushless motors don't have the bushing housing sticking out. But that doesn't mean that they will fit Egress... The link with a brushless, didn't fit. 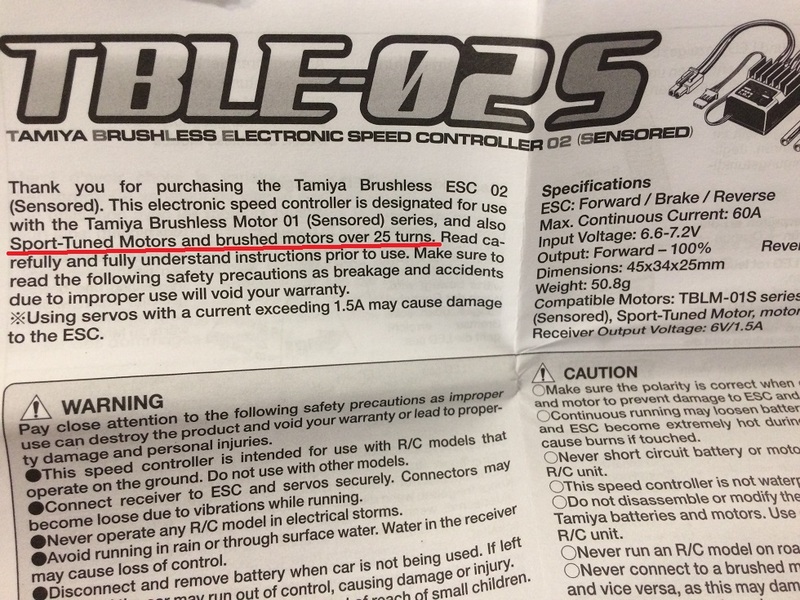 So hopefully, somebody could give us a confirmation on Tamiya brushless. If not, Super Stock would have to do. If you want rubber-sealed bearings for playing in the sand, you can get ten(10) 1150 bearings for $2. The quality isn't the best in the world. I end up not choosing 1 or 2 out of 10. But you only need 8 bearings (2 next to each wheel), as they will be most exposed to sand. Deep inside the gearbox, metal shielded bearings are just fine. Oh, you could use 2 for the shafts. There are also 1680 bearings where the drive cups would stick to. I'm not 100% sure, but they might be 8x16x5mm bearings. If so, you can get 5 of them for about $2.30. Rubber seals will keep the sand out of the gearbox. I don't think metal gears are necessary unless you want to put your car through 14.8 volt, which most ESCs cannot handle anyway. Also, I'm uncomfortable adding weights to rotating masses. Nylon gears are strong enough for RC purposes. Aluminum pinions are weak, but I think Egress might come with a steel pinion anyway? I'm not sure about that. But even if it did come with an aluminum pinion, I'd still recommend Teflon grease. LaBelle 106 is very light and slick, Labelle 206 is a bit stickier so it won't wash away (if water is an issue). It's just hard to wear down something when that is coated with Teflon. Any battery would do fine. NiMH is good enough for most purposes. So if you want to start with that, that's fine. SkyRC iMax B6 has become the new standard for chargers, but other chargers are equally good. These days most chargers can handle most types of batteries, so when you want to switch over to LiPo, they'll be able to handle LiPo too. LiPo is about 30% lighter than NiMH. The lighter the car, the better it performs. LiPo allows massive drain, which means it can give you more voltage when you are full-throttling it. It depends on C ratings but think of it this way: when you floor it for a second, 7.2v NiMH would go down to 5v. 7.4v LiPo would go down to 6v. It's not the nominal 0.2v that's superior, it's the ability to withstand instant drain that makes LiPo superior. That's very true. TBLE02S is recommended up to the Sport Tuned. There is some debate as to the turn of the Sport Tuned, but no matter what the turn is, Super Stock is hotter. So yes, just as nginsb said, I would not pair TBLE02S with the Super Stock. I'd use Hobbywing Quicrun 1060, which is also about $20. Thank you, guys, for all the help. I really like the Super Stock BZ Motor and I'm searching the Tamiya TEU-302BK﻿﻿ E﻿SC but is very expensive and difficult to find. Tamiya TBLM02S 15.5T 540 and the HobbyWing QuicRun 1/10 Brushless WaterProof 60A. But the winning set up till now is the Super Stock BZ Motor with the Hobbywing 1060 ESC. I ran a BZ equipped Boomerang with a 302BK ESC which in theory should be fine, but in reality melted the ESC first time out. I'm pretty sure this was a quality control issue with the ESC rather than a pairing issue, but I've stayed away from the 302 ever since. Interesting - I'm going to be running with this setup once the build is complete so I will post my experience of the combo - hope I don't have the same result! I've got a Novak Brushless in mine. The gearbox has proven to quite robust. I've got a Vanquish motor mount if anyone needs one. I never k ew there was an issue. It's just collecting dust in a box of parts. Finally got the courage to open the box!! Its better to order new wheels and tires and save this ones for display? Should I order the same or are other wheels and tires that last longer. I plan to use it on different surfaces. The 302 works well with the BZ, but you have to religiously stick to the recommended FDR. If I remember correctly that means a 17t pinion gear, but I'm not 100% on that. I'm happy to look it all up and do the maths if you get stuck. I've run this combo in a Novafox on the beach; in the really soft sand, and it stormed along. If that doesn't cause overheating problems, then other less demanding terrain should be no worries. The only problem I've had with this ESC is the relatively low servo current of 1A. Too low for modern quick servos, it'll make them operate sluggishly. But fine for the more basic ones. DF03 wheels with any 2.2 buggy tires. These were J Concepts tires on Tamiya DF03 wheels but you could get Proline's or even Tamiya Dual Block tires are great for any surface. Well yesterday didnt go s smooth as I wanted but it was good. I began prepping the carbon fiber plates but my hand arent so steady. So i got some glue in places that i didnt want. Ok so i amgoing to order an egress in a few weeks and i had planned to use a 13.5 brushless i have with hobbywing esc. How are all these other people using brushless motors without this issue? Brushless motors should be fine, just flip the pinion over if you need to. The issue with the Sport Tuned motor is really that the rotor shaft is just a wee bit too short. And now they are on my Boomerang Thommo ..